Well I have been saying that since 2008 – so can I really keep saying that? My Type A personality comes in handy for Baking Blitz – Oganization is KEY! The week leading up to the “event” was a cobbling together two lists – one that contained a list of cookies that make the cut from last year as well as a new to me recipe and a second list (and possibly the most important one) containing all the ingredients – basically anything that might possibly put you into a diabetic shock. 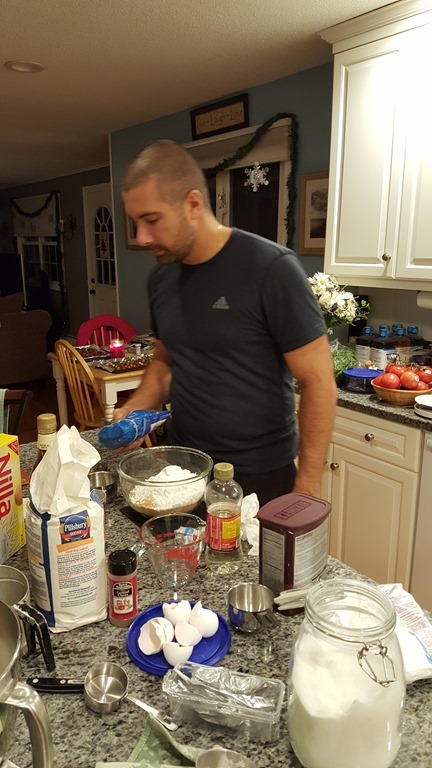 The weekend is Mark’s “Christmas” as we usually don’t have many sweets in the house – especially made with “real” butter and sugar. In year’s past the “blitz” has taken place on a Saturday but it is a very long day to the point where I probably collapse at 9pm or later. This year, to try and avoid this (and possibly to save my sanity) – it was strongly suggested that I start making some of the dough on Saturday so I could whip through batches on Sunday. Mark and my mom were also nice enough to help. Her “famous” but not ready for primetime Rum Balls and Rolo Pretzel thingies were finished the night before while I prepped three types of dough. 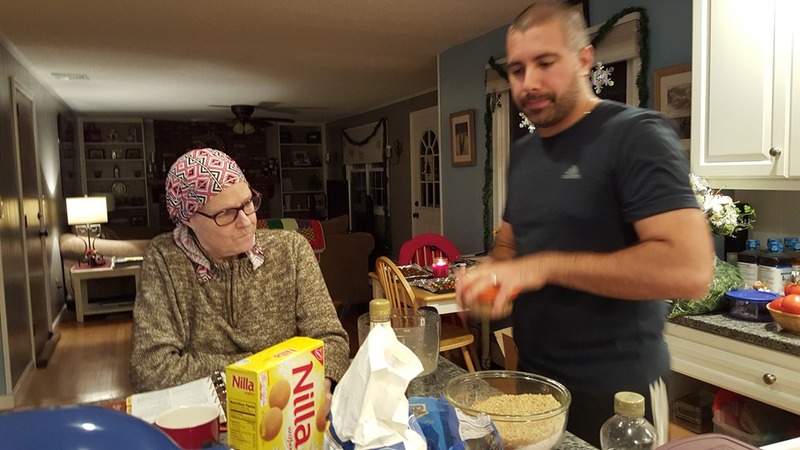 I love these pictures – you can tell mom was throwing the eye to Mark to make sure he made the Rum Balls correctly. 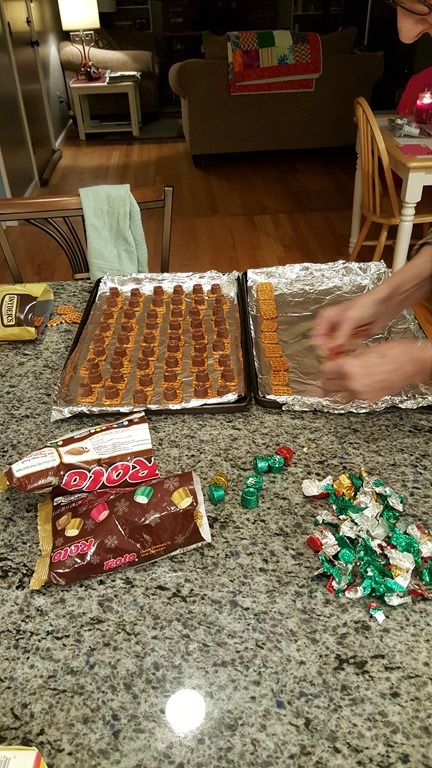 I guess I got a little carried away as it took me just as long Sunday to get everything done and I still had to ask my chief cake ball dipper – Mark – to assist at 6:30pm to make sure we would be able to have dinner. 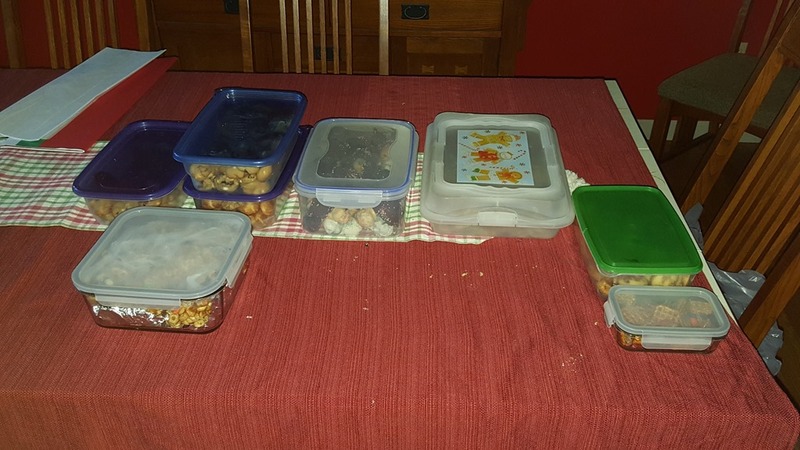 I will say I am happier with the outcome of the cookies than in years past – I think it has to do with the fact that I really chilled the dough BUT I always forget that those darn cake balls might be one or two bites to the consumer but they are soooooo time consuming to make. 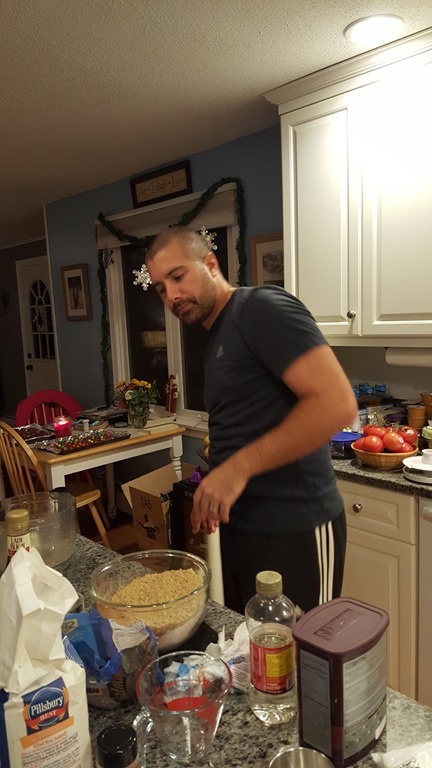 I think that Baking Blitz 2015 was a huge success thanks in part to my helper Mark and my mom.